The historic Karthäuserhof estate is located just before the confluence of the Ruwer and Mosel rivers, nestled along a side valley adjacent to the small village of Eitelsbach. Recent findings indicate that the spot was a settlement practicing viticulture as early as Roman times. Named Karthäuserhof, or “Farm of the Carthusians,” it was founded officially as a Carthusian monastery in the 11th century. 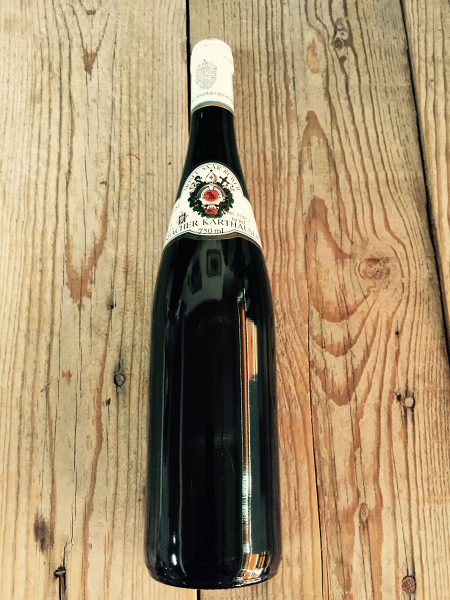 1989 was a rich ripe vintage in the Mosel. Perfect setting in April, copy-book flowering in June and a sun-drenched, relatively dry summer encouraged the grapes to ripen in almost tropical temperatures and the best of all possible conditions. The “Indian Summer” from 10th to 29th October gave great concentration and botrytis set in to allow fabulous Ausleses up to Trockenbeerenausleses to be made. The sweeter wines, when carefully produced, are delicious now and the very best wines will last for many years ahead, to represent the finest vintage for heavily botrytis affected wines since 1976.